Brand new for 2018 to celebrate the Year of Young People, take this opportunity to experience Edinburgh Castle as you never have before! With the iconic landmark bathed in neon lights, come along and join in the fun as we showcase some of Scotland’s brightest young creative talent. 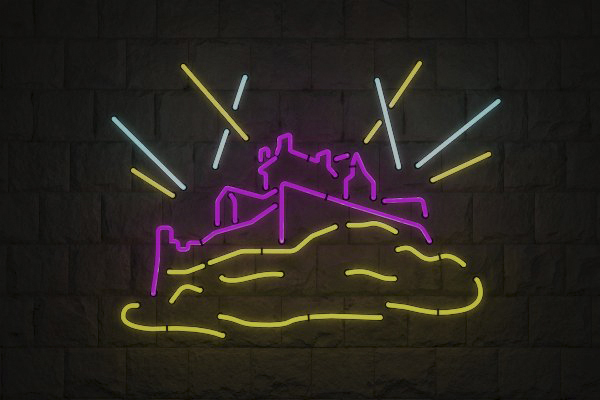 Five themed lighting zones will see different areas of the castle lit up in neon hues and each area will feature individual attractions and activities, including a neon salon, photo booth and make-your-own neon crown workshop, with plenty more drop-in activities and surprise encounters. And this is only the tip of the (neon) iceberg! This unique event is being organised in conjunction with many co-design partners so there’s plenty more surprises to come! This is a (k)night not to be missed so book your tickets today. Knight at the Castle, Friday, 5th October 2018: This event has been designed for young adult audiences aged 18+ and the young at heart. This event is part of Historic Environment Scotland’s Year of Young People Heritage Remixed programme and is co-curated with event partners Young Scot, Edinburgh Napier University, Impact Arts, The List and Scotland’s Urban Past.